Edwin Najmi Seminar at HRBJJ! Sign Up TODAY! 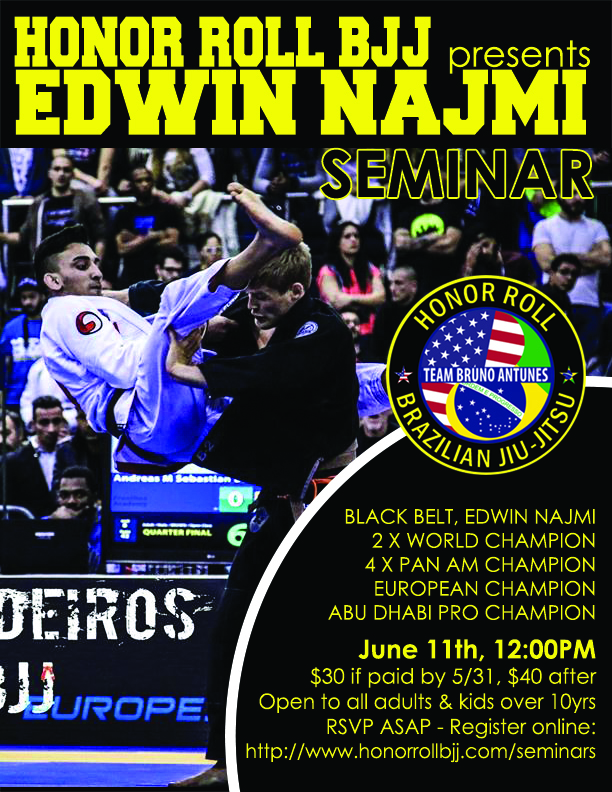 Please join Multiple World Champion Edwin Najmi for our first BJJ seminar at the new location! Don't miss out on this unique opportunity to learn first-hand from one of the best! June 11th, NOON! Click on the photo below to sign up and reserve online. Space is filling up and we expect to reach capacity soon. Open to all BJJ students 10 Years and up. Newer PostHonor Roll BJJ's 1st Annual Kid's Gi In-House Tournament, July 23rd!